One may disagree with Tunku Aziz about MACC. I too have been very critical of this anti-Corruption watchdog (should I say lapdog of the Malaysian Prime Minister Najib Razak?) 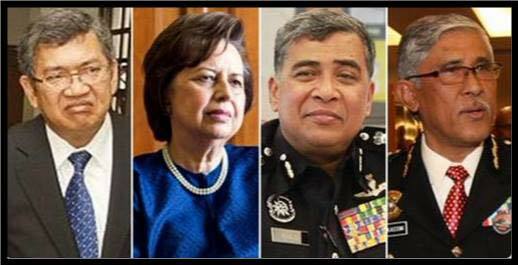 and my views about its Chief Commissioner Tan Sri Abu Kassim and the Commission itself can be read in this blog. 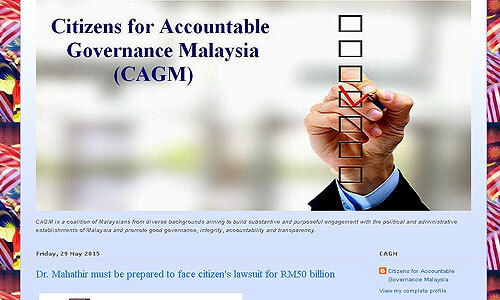 Just click corruption or MACC and you can read them or go the blog’s archives. I have always said that MACC is a dysfunctional, sick and toxic organization. I once received a letter from MACC almost threatening me with legal action for remarks I made by this sweet talking Tan Sri Abu Kassim. By reading about the late Teoh Beng Hock and Ahmad Sarbani and the current legal battle between the MACC chief and Lawyer Rosli Dahlan, you will understand why MACC abuses power. The MACC favours politicians in power but it is quick to investigate opposition parliamentarians, civil society leaders and others. It makes a mockery of the report of the Tech Beng Hock Royal Commission of Inquiry and the one concerning the infamous Correct, Correct VK Lingam video tape issue. MACC does not understand accountability and transparency. All that said, I am happy to put Tunku Aziz’s statement of May 29, 2015 on this blog. He has the right to express his opinion and defend his organization. 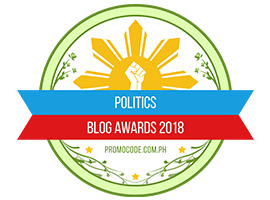 Read it carefully and then comment on it.This blog is about freedom of expression with responsibility. I know Tunku Aziz well and our friendship spans over several decades and we are still very good friends although we have different views on politics, economics, intermational affairs and social policy. 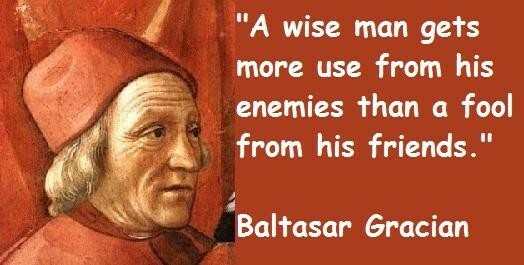 I agree with him about governance and ethics. I also share his take on Tun Dr. Mahathir. But I disagree with him on Najib Razak, his policies and actions. MEDIA STATEMENT as issued by Tunku Abdul Aziz in conjunction with a press conference held on Friday May 29, 2015 at 11.00 a.m. at the Eastin Hotel, Petaling Jaya. 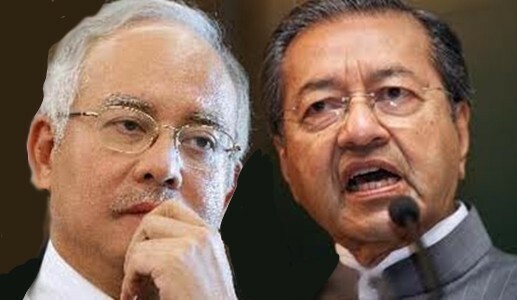 Let me say at the outset that it gives me absolutely no joy in having to say to Tun Mahathir Mohamad that by spewing scurrilous lies about 1MDB without any conclusive proof of wrongdoing by the Prime Minister or anyone else for that matter, he has reduced himself, in the eyes of many, to a figure of fun and ridicule. His recent performance in Ipoh was admittedly most amusing and kept the audience in stitches, especially when he threw caution and good manners to the winds by repeating vicious rumours about Najib and his family. It was all too personal. Tun Mahathir Mohamad has to make up his mind whether he relishes the idea of being treated as a stand-up comedian or a responsible, respected and revered leader of men. On current performance he presents himself as an embittered, vindictive man who apparently is prepared to gamble with his reputation in pursuit of an unworthy cause bordering on obsession. His motive is suspect. 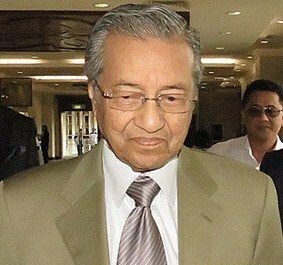 Tun Dr. Mahathir Mohamad is a bundle of inconsistencies and contradictions. He froths at the mouth every time he accuses 1MDB of causing a staggering RM 42 billion to disappear without a trace. This, as it turns out, is pure fiction, of course. As matters stand today, the figure of RM42 billion that he has used with regular monotony to get at the Prime Minister is shown very clearly as a debt in the company’s books. Company borrowings are a normal part of operating a business as Tun knows only too well. 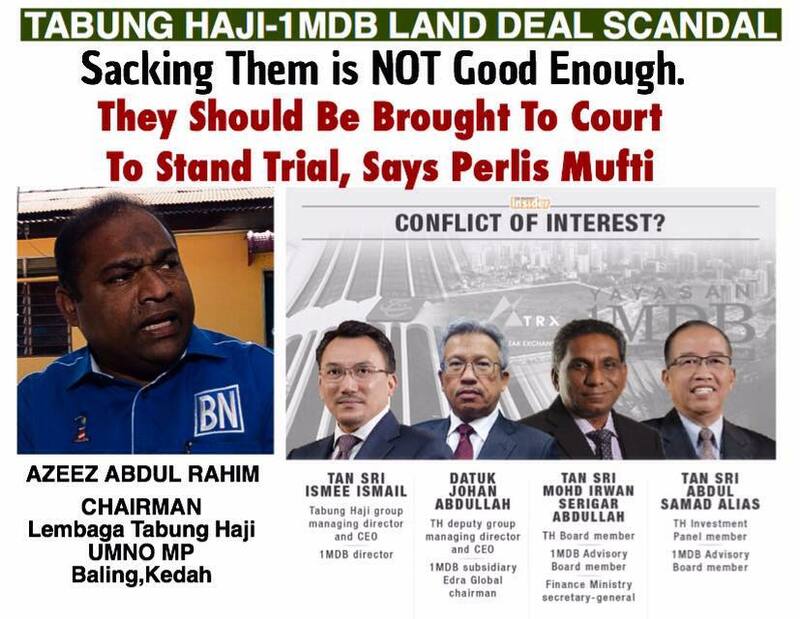 For the sake of good order and in the larger interests of justice and fair play, Tun should eat humble pie, take a deep breath, admit his mistake and apologise to the Prime Minister and the top management of 1MDB whom he has maligned. And while he is about it, will Tun please also apologise to all Malaysians for misleading them? When he was Prime Minister several massive scandals broke out. He cunningly side-stepped the issue of accountability. He explained with that familiar self-satisfied smirk on his face that in the case of the loans given by Bank Bumiputra Finance (BMF) to the Carrian Group and two other Hong Kong companies, when someone who was ‘established’ in the business world asked for a loan, one should not scrutinise his application too closely. Tun perhaps needs someone to jog his memory a little. 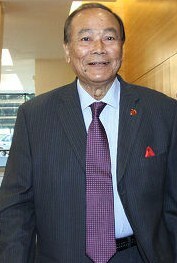 During his premiership, but for the grace of God and Petronas this country would have been left high and dry as a result of frenzied institutionalised gambling in several financially disastrous scams involving the Ministry of Finance, Bank Negara Malaysia, and the Employees Provident Fund among other agencies. One of the biggest scandals in world banking history was the BMF affair that cost the country US$800 million. Other loans amounting to US$163 million were made to companies in Hong Kong. These were doubtful loans from the start and had to be written off. We are talking about the early eighties: and the losses if expressed in today’s value would be many times the amounts incurred some 30 years ago. Then there was the ‘Tin Caper’ in which Malaysia played the star role of the ‘Mystery Buyer’ to make a killing by the apparently simple expedient of cornering the international tin market. 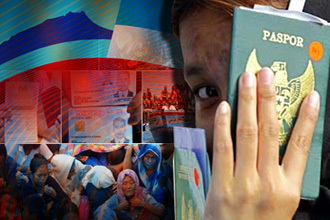 That cost the country RM660.5 million in losses according to Datuk Seri Lim Keng Yeik, one time minister of primary industries .As if this was not enough, we followed this up with the most notorious financial scandal of all – the foray into the FOREX market using the nation’s reserves to gamble, leaving Bank Negara Malaysia dangerously exposed. Bank Negara Malaysia lost RM30 billion (RM58 billion at today’s value) in this gambling spree. Typically Mahathir denied responsibility and to this day he remains unrepentant, blasé, and unapologetic for the scandals that happened when he was the head of government. His manic gambling with Bank Bumi and BNM money scandalised monetary authorities around the world. Tun Mahathir lost heavily in the tin escapade which saw the collapse of the International Tin Council and the disappearance of the tin industry worldwide. 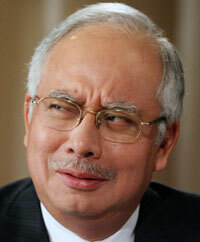 He effectively turned the once respected Bank Negara Malaysia, the Central Bank of Malaysia, into a rogue institution. In the event, RM30 billion, (RM58 billion in today’s terms) was lost. It took BNM at least 10 years to amortise, and close the books finally in 2003 on this, the most shameful betrayal of trust in our history. BNM was close to being brought to its knees given its colossal exposure and rapidly depleting national reserves. 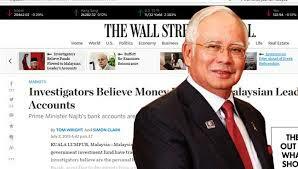 Tan Sri Tajuddin Ramli in his affidavit claimed that he was ordered to buy MAS at a vastly inflated price so that the government could cover the Forex gambling losses. As these losses have never been satisfactorily explained, I urge the government to reopen the Forex case to establish whether any laws had been broken by the Mahathir administration in using the reserves held by Bank Negara Malaysia for the purpose of currency speculation. Those responsible who are still living today should be called to account for their actions. The government owes the people of Malaysia who have been left to pick up the pieces from this financial disaster a duty to effect a proper closure. I will be making a police report to get things started. Mahathir’s Supporter takes a shot at Tunku Aziz. Former DAP Vice Chairman Tunku Abdul Aziz Ibrahim has apparently bitten off more than he can chew in taking potshots at former Prime Minister Mahathir Mohamad who has questioned Najib Abdul Razak’s qualification to be Prime Minister and demanded that he step down. 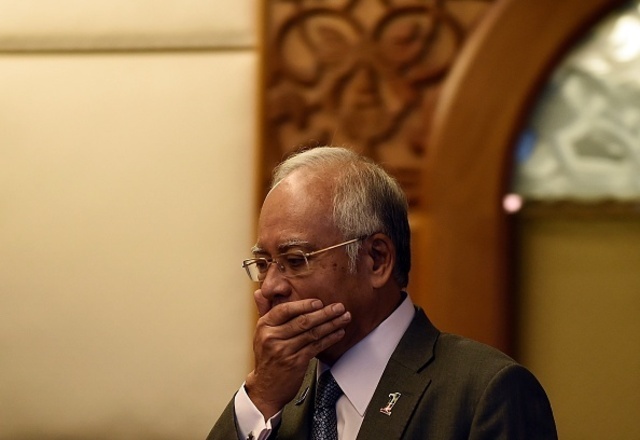 Mahathir’s beef with Najib is the scandal-ridden 1MDB, among others.